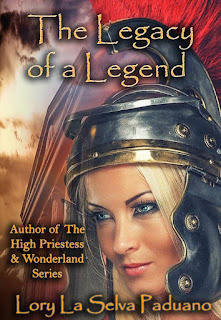 Today we are interviewing Lory La Selva Paduano about her historical fiction novel "The Legacy of A Legend." For readers who aren’t familiar with your work, tell us a bit about your writing. Writing for me is a magical escapade of learning and experimenting. I've learned so much these last few years, and I'm thankful for all the good advice from those who've stuck beside me and continously cheer me on. I have so many people to thank and the list grows everyday! Without my readers, faithful followers and amazing publisher ( Kingsnake Publishing) none of my works would be out there. In more ways than one...writing has become my career, my passion and life, and I miss it dearly when the summer months roll in and my children have my full attention. I'm itching to get back to the blank pages, where there, I start adding color and life. Your new book, “The Legacy of A Legend,” is set in Rome. Can you describe the plot for us? This particular book, literally took the “life'' out of me. I was injured in between it all, and had to take three months off, while the manuscript sat in cyber space, well, in ''MANUSCRIPTON” a new land I made up, where all manuscripts patiently await for their authors to revive them, while their injuries subside. The plot is about my female protagonist – Arria. She's the daughter of a well known rebel, known to ancient Rome, and whom is a Legend today... but no more spoilers here! After the “Serville War”, almost two decades later, a story emerges about siblings, “Twins” to be precise, who take on the beast named “Rome”. With purpose and righteousness, Arria becomes more than a woman, leading her down a path of exploration in the art of survival and so much more. Just when things seem lost, and there aren't any answers for any of it, hope comes crashing through and seals Arria's fate forever. It's a story about, hope, family, love, trickery, power, status, nobility and much more. Anyone who appreciates ancient History and all those who helped shape it, will love the story line here. I think many would say, “There's always more to be told” and what better way to incorporate fiction with actual events. I'm having a blast and so will the readers! - Promise!! What inspired you to set the novel in Rome? Given the nature of the setting, even though I haven't given away the entire plot, it's obvious why I chose Ancient Rome as my next destination ; everyone loves a hero, an “insurgent” to a major cause and those who pick up the pieces long after they're gone. My ancestrial roots are Italian, and I also thought it would be grand to brush up on those long lost ties. How did you research the historical aspects of this book? Most of the research is common knowledge, and most of it is knowledge I had already aquired in the past and experienced first hand, of course it does not exclude the many hours of reading up on fascinating facts mentioned in the book, or watching underground documentries to put it all into perspective, so that it flows naturally into a wonderful and unique storyline. It's about shaping and moulding ones work to the best it can be. Did you learning anything new while doing research for this book? Indeed! I had no clue “urine” was used as bleach in ancient Rome, and worked wonders on whites! Can you tell us about the creative process of this book, from the initial idea to the finished manuscript? I think I may have mentioned this in the past. My creativity is aroused by photos really, it helps set a theme in my mind, from there I work tirelessly on capturing the essence of all that surrounds that photo. Usually, I have vivid dreams, where manuscripts speak to me, and calls me to my p.c., at all hours of the day and night. I can almost count on the fact that the “beginning” and “ending” of all my stories, are already inserted in my brain, like having a microchip installed or software and working on the middle of the story line ( once there ) this part, is probably where I have the most fun. It's indescribable really, and to think it took me decades to see my dreams of writing come true, renders many speechless! It is much like having an “aqueduct” overflow. - true story! The initial idea was to give back to my roots and heritage. I love Rome and it's cluttered monstrosity of a city, it spoke to me many years ago, I just wasn't listening attentively. My next project will be under my ( Pseudonym ) or “pen” name of [ LILIANA L.S. ] Look out for a groundbreaking “series or volumes” of books, that will cover Historical Enigmas & Urban Legends! To know more is to follow me on Facebook, where a new page will be shortly introduced and invites will be sent to all. Look for it on page www.facebook.com/romarria in the near future. 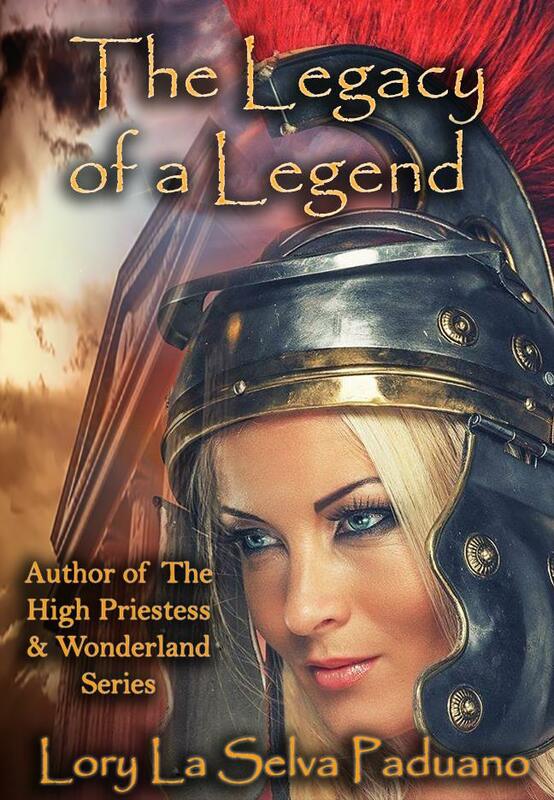 I'm always available for questions regarding all my works of the 'Wonderland Series', 'The High Priestess' and of course 'The Legacy of A Legend' as well. I love story telling, I've practiced it all my life, wether vocally or written, and judging by my many wonderful reviews on amazon.com, and other important and prestigious sites such as, www.BlueInkReviews.com. I'm confident enough to voice what really matters here. Stories of all sorts rock our world, if you are in tune or intrigued by History and Fiction – Fantasy, which experts in our industry have described our books as clever, robust and dramatic, I can certainly add that many won't be dissapointed and will always find something unexpected, uncoventional and refreshing in all my works. I strive to be better than I was yesterday, and relevancy is important to me. Consequentially, giving my readers what they crave and wish for ... is my ultimate pleasure!